CIA analyst Jack Ryan must stop the plans of a Neo Nazis faction that threatens to induce a catastrophic conflict between the United States and Russia's newly elected president. After an eight-year absence, Tom Clancy’s character Jack Ryan returned to the silver screen in 2002 with The Sum of All Fears. And he looked a lot younger - in fact, he looked like a whole new man! Between 1994’s Clear and Present Danger and Fears, the Jack Ryan series took a turn. Apparently Harrison Ford – who took on the part in 1992’s Patriot Games after Alec Baldwin played Ryan in 1990’s Hunt for Red October - didn’t want to return for another adventure. Rather than replace Ford with another actor of his generation, the series’ producers decided to spice up the mix and give us a younger, less experienced Jack Ryan. This landed Ben Affleck in the driver’s seat. Overall, I applauded the change. Rather than just shovel out the same old thing, this character alteration allowed for a myriad of new situations and experiences. However, I must say that this iteration of the younger Ryan seems only sporadically successful. While generally entertaining, The Sum of All Fears doesn’t do much to break free from the mold. We start with a short flashback to 1973. An Israeli pilot gets shot down over Syria, and in the crash, a nuclear bomb becomes lost. Move forward to 2002 and we watch as locals finally discover the weapon. A shady character named Olson (Colm Feore) buys the bomb on the cheap from the naïve villagers and he resells it to neo-Nazi Dressler (Alan Bates). The latter schemes to get the US and Russia to fight each other so his ilk can swoop in during the ensuing chaos. Part of this plan involves the bomb, as he’ll have it explode in the US in such a way that its authorities will naturally blame the Russkies. In the meantime, we meet young CIA consultant Jack Ryan (Affleck). Assigned to the Russian affairs department, he becomes a valuable resource on that domain’s new President Nemerov (Ciaran Hinds). Ryan accompanies director Bill Cabot (Morgan Freeman) on a nuclear arsenal inspection, during which he meets Nemerov. The plot thickens when Ryan notices some missing nuclear scientists; together that trio knows how to build a bomb. Soon some organization launches chemical weapon attacks on Chechnya, and the US assumes the Russians were responsible. Ryan argues otherwise, but when Nemerov accepts the blame – incorrectly, we quickly learn – Jack loses some stock in the company. As the tensions rise, he continues to argue that Nemerov wouldn’t perform the acts others want to pin on him, and eventually Ryan needs to race against time to prove his points and avert a full-blown confrontation between the two super-powers. That said, the movie functions nicely due to a high level of professionalism, and it features an excellent cast from top to bottom. I’ve always liked Affleck, and although he doesn’t seem genuinely comfortable in the role – Ford’s shoes are tough to fill – he acquits himself reasonably well. If he fails to deliver a memorable performance, he also does nothing to harm the film. Affleck gets assistance from a solid supporting cast. Freeman is usually money in the bank, and we also find stalwart performers like Bates, Feore, James Cromwell, and Philip Baker Hall. The Sum of All Fears appears in an aspect ratio of approximately 2.35:1 on this 4K UHD Disc. This turned into a solid presentation. Sharpness worked well, as the movie usually offered positive accuracy and delineation. A little softness impacted some wider shots, but the majority of the movie appeared well-defined. I saw no signs of jaggies, moiré effects or edge haloes, and only a little digital noise reduction seemed to impact a few interiors. Print flaws remained absent. Colors varied due to the production design. During the film’s first half, they took on a natural and warm tint for the most part, and these elements seemed distinct and vivid. For story reasons, the movie used a stark palette during its second half, where the image became veered toward a teal or orange tint much of the time. Within design parameters, the colors looked positive. Black levels consistently came across as deep and rich, while shadow detail appeared dark but not too thick. I felt pretty pleased with this image. Although not a reference piece of work, the Dolby TrueHD 5.1 soundtrack of The Sum of All Fears offered a strong presentation. Actually, like the color saturation of the film, the soundfield also changed as the movie progressed. During its first half, the audio demonstrated an emphasis on the front speakers. Even during scenes that lend themselves to surround usage – such as rainstorms – the sound stayed pretty well established in the forward realm. How did the 4K UHD compare to the Blu-ray version? Audio was identical, as both discs included the same TrueHD track. Visuals demonstrated improvements over the mediocre Blu-ray. The 4K UHD seemed more precise and offered superior colors/contrast with fewer flaws and digital issues. This wound up as an obvious step up in picture quality. No extras appear on the 4K UHD itself, but the included Blu-ray copy provides some materials, and we begin with two separate audio commentaries. The first comes from director Phil Alden Robinson and director of photography John Lindley, both of whom sit together from this running, screen-specific piece. The track emphasizes technical elements, which makes it somewhat dry at times. Actually, the program starts slowly, and the discussion during the film’s first act comes across as fairly dull; we learn about sets, locations, and lighting but not much else. Matters pick up after a while, though. While the commentary never becomes terribly lively, Robinson and Lindley provide more interesting material as they move through the film. They get into some of the elements that caused them problems and also relate a few storytelling challenges. The details still tend toward the technical side, but the presentation seems more engaging. Occasional empty spots appear but these don’t overwhelm the presentation. Overall, the first commentary becomes a fairly average affair. Next we get a track that features Robinson with author Tom Clancy, both of whom also sit together for this running, screen-specific track. A lot of commentaries sound good on paper but end up being dull, and I worried that might happen here. Happily, that doesn’t occur. While not an outstanding piece, this track provides a good listen. After this we move to some featurettes, and A Cautionary Tale splits into two areas. “Casting” lasts 12 minutes and 55 seconds and includes info from Robinson, screenwriter Daniel Pyne, producer Mace Neufeld, and actors Ben Affleck, Liev Schreiber, Bridget Moynahan, James Cromwell, Morgan Freeman, Ciaran Hinds and Alan Bates. We get some basic notes about how the actors came to the film and also their work on the set, but the piece also includes a lot of basic praise about everybody. The program includes a modicum of useful material but it seems too fluffy. “Production” runs 17 minutes and follows the same framework as “Casting”. It includes interviews with producer Mace Neufeld, director Phil Alden Robinson, cinematographer John Lindley, screenwriter Daniel Pyne, actors Morgan Freeman, Ben Affleck, Alan Bates, Bridget Moynahan, James Cromwell and Liev Schreiber, and CIA public affairs officer Chase Brandon. “Production” packs a lot of good information into its brief running time. 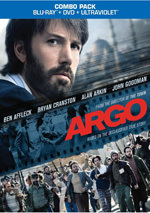 It covers the adaptation of the novel, the reworking of the franchise to accommodate Affleck’s age, reactions to the film in the post-September 11 world, and a number of production anecdotes. Overall, it goes through a lot of topics in a quick and interesting manner. In addition to the film’s trailer, we get Visual Effects, which breaks into five subdomains. Each one examines a specific element of the movie” “Carrier Attack” (eight minutes, 39 seconds), “A-4” (6:24), “Hospital” (3:54), “Motorcade” (3:56), and “Helicopter” (4:53). The presentation includes production materials and behind the scenes shots, movie clips, and interviews with visual effects supervisor Glenn Neufeld, miniature modelmaker Carlyle Livingston II, miniature pyrotechnics John Cazin, cinematographer John Lindley, aerial coordinator Craig Hosking, CG supervisor Mike O’Neal, and visual effects supervisor Derek Spears. While I don’t think The Sum of All Fears does much that seems particularly original or compelling, it offers a reasonably involving action flick that works acceptably well as a whole. Nothing in it stands out as terribly memorable, but it creates a fairly exciting piece that I enjoyed for the most part. The 4K UHD brings very good picture and audio along with a fairly nice selection of supplements. This ends up as a positive release for a largely entertaining film. Note that as of August 2018, this 4K UHD version of Sum of All Fears can only be purchased via a five-movie package. 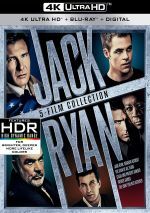 The “Jack Ryan Collection” also includes 4K UHD versions of The Hunt for Red October, Patriot Games, Clear and Present Danger and Jack Ryan: Shadow Recruit.